I think sometimes it takes a course like this to wake me up from my complacency. Maybe it's not complacency so much as the idea that I expect the world to treat me the way I treat others (or hope I do). I am going to be polite, I am going to try and do what is right according to the way I was raised and I will try not to hurt anyone. I know, for example, that much of the rules and dictates of the world are fabrications, built so we have lanes that we stay in, so we can be civil to each other and work productively together, hopefully for the betterment of each other. So I follow these rules. 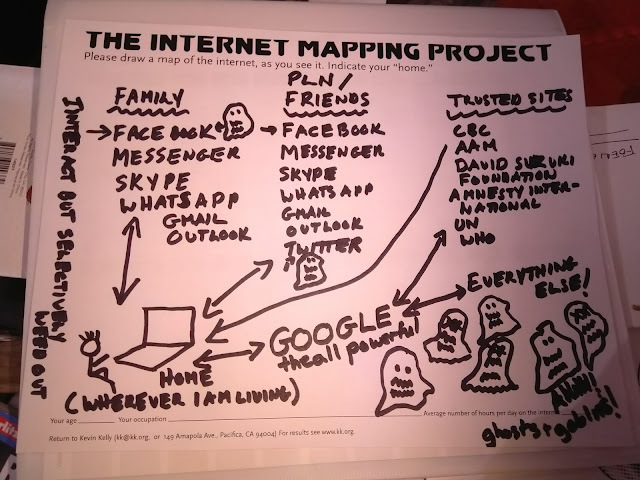 And I foolishly expected the Internet to stay in the lanes it first mapped out, for the new social media tools to do the same. Google will do no harm but have everything you ever wanted to know, Facebook is a platform to be social with your friends, Twitter will allow us to talk to each other politely in witty 144 character exchanges, email will make it easier to communicate in a workplace, etc., etc., etc. And in the beginning it was great fun, a new world to explore. You didn't feel like you were doing anything dangerous. 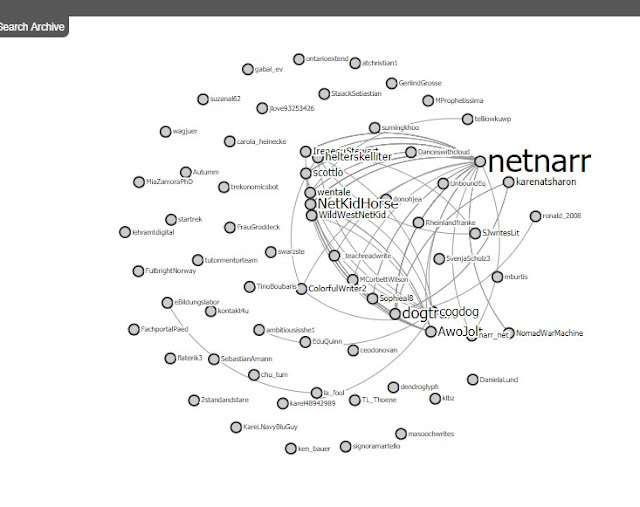 But #netnarr is helping me look under the Internet rug. I forgot about capitalism and how we don't build things for joy, but for money. Because we need to eat and we all agreed many millennium ago that we thought money was a good thing. So Facebook now pays under age kids to allow Facebook access into their lives, Google's revenue comes from ads that are user data driven ( this means every Google user is a customer inadvertently), Twitter is still not making any money so who knows how long it will be before it becomes a totally ad based platform, email is now a way for you to be tracked by your employer or open your company up to a malware infection and the list goes on. Welcome to the world of social capitalism where you are a statistic and an algorithm and who you are as a person means nothing. You've been dehumanized. I guess my question is which idea are we going to rethink first? The money or the social network?